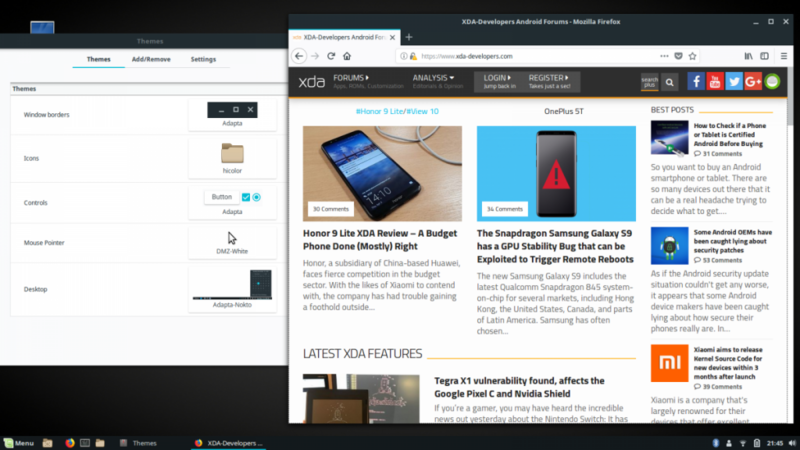 The Chrome OS developers have been working out the stylistic elements of what you’ll see once you open your first native Linux apps in Chrome OS, and they’ve opted for Adapta, a popular Material Design-inspired Gtk theme that can be used on many of your favorite GNU/Linux distributions. For those of you not keeping track, the Chrome OS developers have been busy baking native container functionality into Chrome OS that allows the user-friendly startup of regular Linux applications in containers-within-VMs. This project, codename “Crostini,” is the largest change to Chrome OS since Android apps were introduced. Containers allow for applications to run in their own dedicated environment in isolation of the host OS – like a virtual machine, except unlike a VM, it doesn’t virtualize the whole OS to make the application work, it just bundles up the application and necessary baggage into an executable package. When containers arrive, Chrome OS users will no longer be dependent on cloud-based or Android apps as full Linux applications will be accessible. The dedicated community at Reddit’s /r/Crostini has already gotten WINE and Android Studio running. Container functionality is only available to try out on the Google Pixelbook in the Developer channel right now, but there’s plenty of evidence in the code-reviews to show that support is coming to other devices when Google eventually flips the switch. If you want to spend your time looking at random .pngs, you can look through a list of assets to get a taste of what your Linux apps will look like. The prominence of soft greys and electric blues is a stark contrast to the bright UI in Chrome OS, leading us to wonder whether this is the final UI for Crostini or simply a stop-gap. On the other hand, perhaps this color palette is part of Chrome OS’ new UI refresh that we’ve had glimpses of. The choice of theme is obvious, given its Material Design-inspired design, but Google checking in a theme instead of just expecting you to bring your own (or none) means that they are developing this with more than just developers and enthusiasts in mind. Stay tuned as we keep track of Project Crostini.